Congratulations to all our entries! Enter for a chance to win $50 in our boutique! Check here for previous months winners! Contest is open to adults over the age of 18 in Canada and USA only. 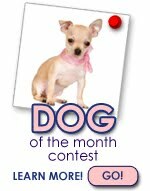 You can only enter the contest ONCE a month, additional entries may lead to disqualification. Please ONLY send us photo's of YOUR own dog. By submitting photos to the contest, you verify that you are the photographer AND copyright holderfor each photo submitted and have the legal authority to use. You may not submit photos that you have paid another professional to take. Please be sure to include your dog's namein the email and age and anything you want to sharea little about them (what they like to do, what their favourite dog treat and/or dog toy is, how they became a part of your family), as well as your own name and state or province of residence. All entries must be received by the last day of each month for qualification. Winner will be announced by the 15th of the following month. Winners will receive their prizes within 1 week after notification and will be notified by email. Signing up for our newletter is nice, but not required. The contest is void where prohibited by law. By participating in this contest entrants agree to the rules. All decisions by Posh Puppy Boutique are final. Winners shall grant, transfer and assigns all property rights to Posh Puppy Boutique to use winners name, dogs photo and prize information for advertising, publicity and promotional purposes or entry into our photo database without right of review, notification, without compensation or permission. 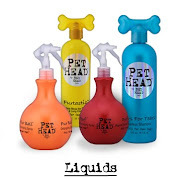 Entrants and winners release Posh Puppy Boutique from any liability of claims for any loses, damages of any kind injuries or costs in any way resulting from participating in the contest and the acceptance or use of the prize. 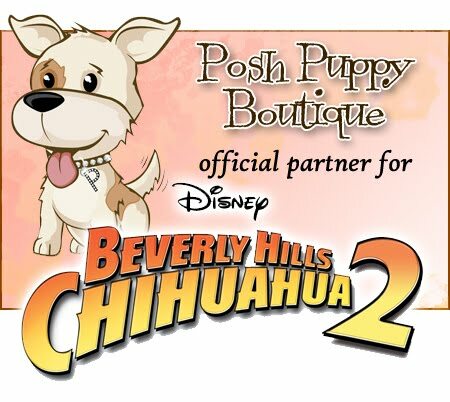 Posh Puppy Boutique is not responsible for late, lost or misdirected entries, technical, hardware, software malfunction, failed electrical communications caused by the sender or any equipment or program associated with it and/or Posh Puppy Boutique. Nor shall we be liable for any human error that may occur in posting the entries. Prizes may not be transferred or redeemed for cash or transferred.